Letting their imagination run free is the favourite thing to do of not only the little ones. 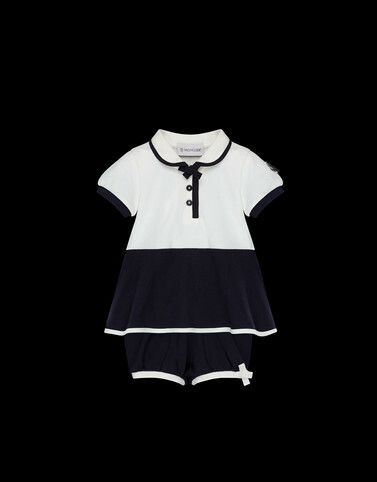 This Moncler bicolour dress and shorts set is designed to make moving easy and to make the daydreams of tomorrow’s young explorers more colourful. If there are no limits to the imagination, why should there be any with clothing? Wash max. 30° C; Do not bleach; Do not tumble dry; Cool iron max. 110° C; Do not dry clean; Professional wet clean - mild process; Dry flat; Wash separately; Washing and ironing inside out is recommended.